Just when I think I’m baby showered out, one hostess keeps her “babies” around for the party. Much to my delight. Because I end up making a new friend. And that makes me happy. This is Dolly. 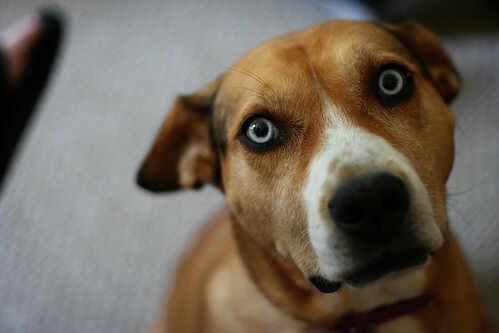 And she has the bluest eyes I’ve ever seen on a dog. I gave her a good rub down and she kept coming back for more. Sucker. But such a sweetie. I love this doggin and her little snaggle tooth. 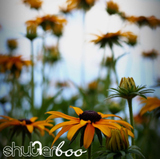 ~ by shutterboo on May 24, 2010. I almost caught myself saying “Who’s a good girl? Who’s a good girl?” to my computer screen. What a sweetie! Aren’t her eyes stunning?! It felt like she was just staring right through me with those icy blue eyes. I love dogs! Great photo! Oh, how could you not love Dolly? She’s so well behaved (unlike my hellions who have to be confined with baby gates when we have company whilst they howl in despair. oh my god that dog is gorgeous! would you look at those eyes!